Designation signifies excellence in corporate website. Leverage Watson to Your Advantage. Watson Realty Corp., REALTORS® has earned the Website Quality Certification (WQC), presented by Leading Real Estate Companies of the World® to member companies that have demonstrated excellence in website design, functionality and execution. Every aspect of the site, http://www.WatsonRealtyCorp.com, was reviewed to ensure exacting standards were met in six key areas, ranging from design and content to human interactivity to search engine optimization. The WQC was introduced in 2009 to recognize and encourage superior websites among Leading Real Estate Companies of the World’s 600 member firms. Watson Realty Corp. is one of 111 applicants to earn the 2010 WQC designation. For more information about Watson Realty Corp., please visit http://www.WatsonRealtyCorp.com. 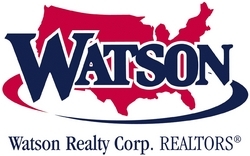 Watson Realty Corp. (http://www.WatsonRealtyCorp.com) has been a trusted name in real estate since 1965. Watson Realty is a full-service real estate company with more than 1,200 sales associates and 41 sales offices throughout Northeast and Central Florida, as well as St. Marys, Georgia. Services include Watson Mortgage Corp., Watson New Homes Division, Watson Title Services, Watson Title Services of Northeast Florida Inc., Watson Commercial Realty Inc., Watson School of Real Estate, Watson Referral Realty Inc., Watson Property Management, Watson Maintenance Services and Watson Relocation Services. Watson Relocation Services has offices in both Jacksonville and Orlando. Leading Real Estate Companies of the World® (http://www.LeadingRE.com ) is the largest network of top independent local and regional brand-name brokerage firms in the residential sector of real estate. The 600 firms affiliated with Leading Real Estate Companies of the World® (LeadingRE) are represented by 5,000 offices and 150,000 associates in more than 30 countries worldwide. The organization's leadership is demonstrated by the fact that its affiliates comprise six of the top 10 real estate companies in the country. Collectively, LeadingRE affiliates produced nearly 1 million home sales valued at $250 billion in the U.S. in 2009. In addition, LeadingRE affiliates hold the Number One position in terms of sales or volume in more of the top markets than any other organization.